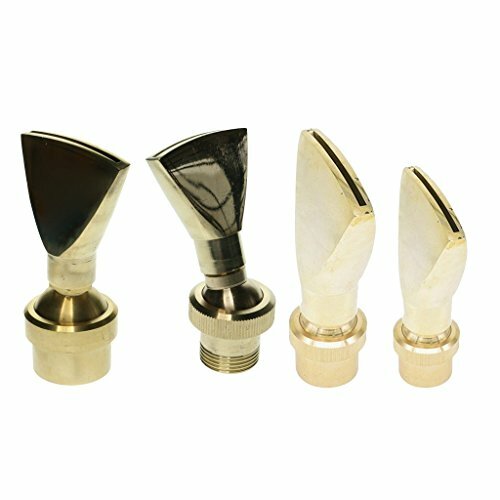 D DOLITY 4Pcs Brass Jet Fan Shape Garden Fountain Water Nozzle Sprinkler Spray Head, The nozzle can be adjusted towards different directions | Fountain City Art Ctr. - Full body brass construction, corrosion resistant and durable in use. - The nozzle can be adjusted towards different directions. - Fan-shapedfountain nozzle to form a fan-shaped water column, which is prettyattractive when illuminated by underwater colorful lights at night. - Suitable for pond, garden or other landscape places to achieve a spectacular spraying effect. Full body brass construction, corrosion resistant and durable in use. The nozzle can be adjusted towards different directions. Suitable for pond, garden or other landscape places to achieve a spectacular spraying effect. Fan-shaped fountain nozzle to form a fan-shaped water column, which is pretty attractive when illuminated by underwater colorful lights at night.